The women's Butterfly waist chain is an exquisite piece of jewelry. 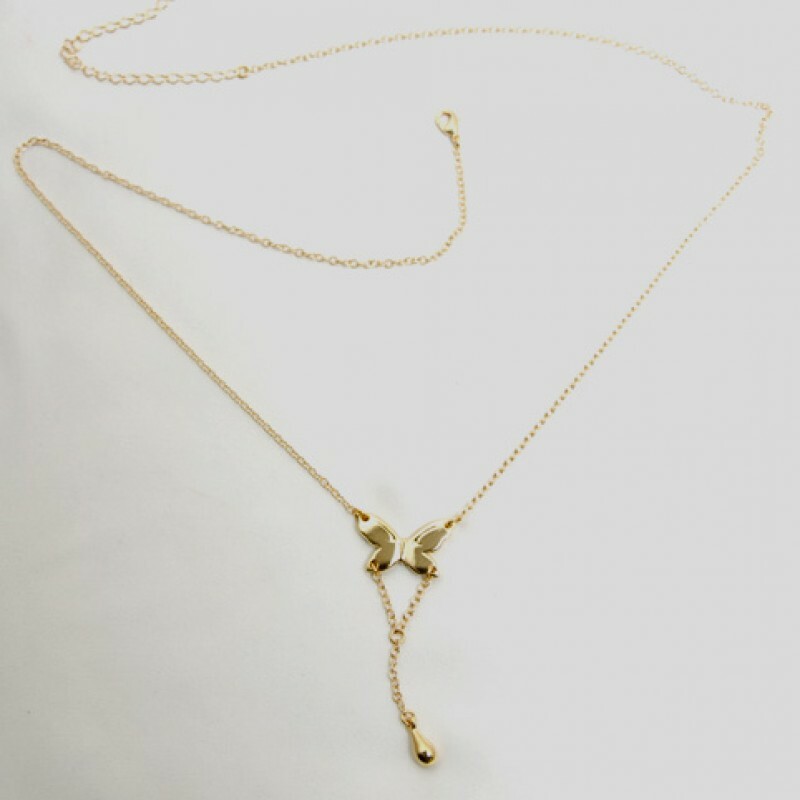 The cast and heavy, silver waist chain features a gorgeous butterfly with a drop pendant on the front and on the backside. 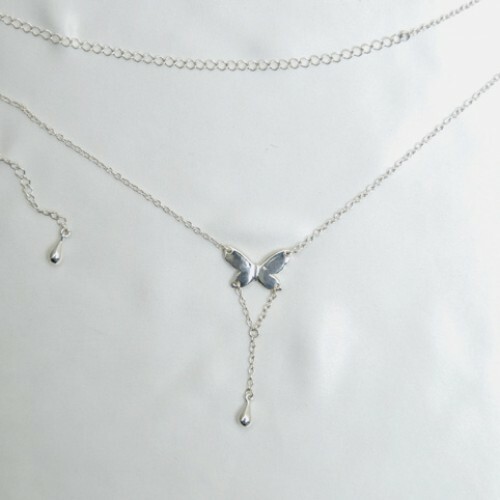 This butterfly waist chain is certain to draw attention this summer. The butterfly waist chain makes the perfect accessory to your favorite beachwear or under your evening outfit, or without anything at all. The lobster clasp makes the waist chain is easily adjusted to fit most sizes. One size fits most, adjustable up to 35" waist. This exotic butterfly waist chain is a work of fine art, crafted by renowned Parisian artist, Sylvie Monthule handmade in France, with highest quality materials.